On a recent workday, I took the chore of picking up the takeout lunch for the communications department at our library. 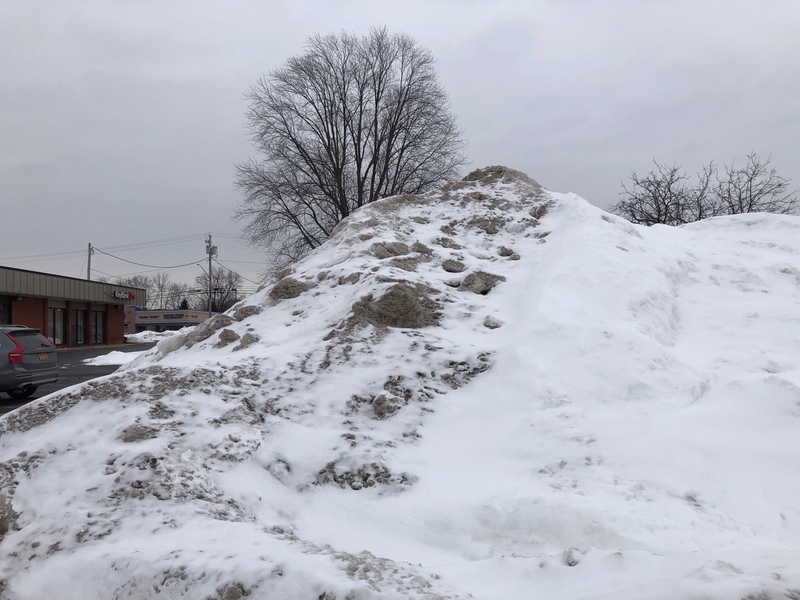 Out of my car, the big snow bank caught my eye. And then the Key Bank behind it. THAT is going to take awhile to melt. Let’s see how long it lasts! Big pile, big time frame, I think, MBC.